Gap is one of my favourite shops to stock up on basics; I’ve managed to get quite a collection of their t-shirts, light cotton knits and a fair few pairs of their pyjamas. When it comes to their jeans though, it’s been years since I’ve had a pair from Gap which I’ve really loved. When they started making the supersoft skinnies I was a massive fan, but when I needed a new pair, the fabric had changed and they just didn’t seem to wash the same. I like my skinny jeans to be skinny even after the first wear, and so finding the right pair really is quite a challenge. 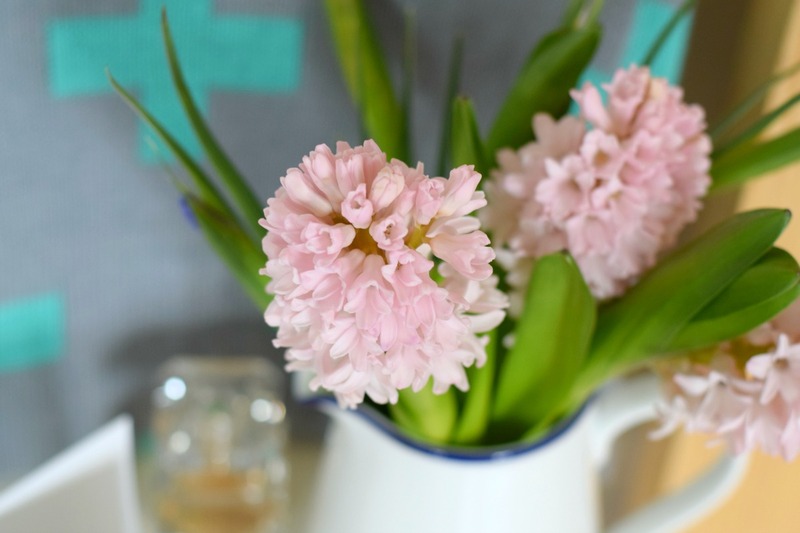 They might look good in the changing room but entirely different after a couple of outings! 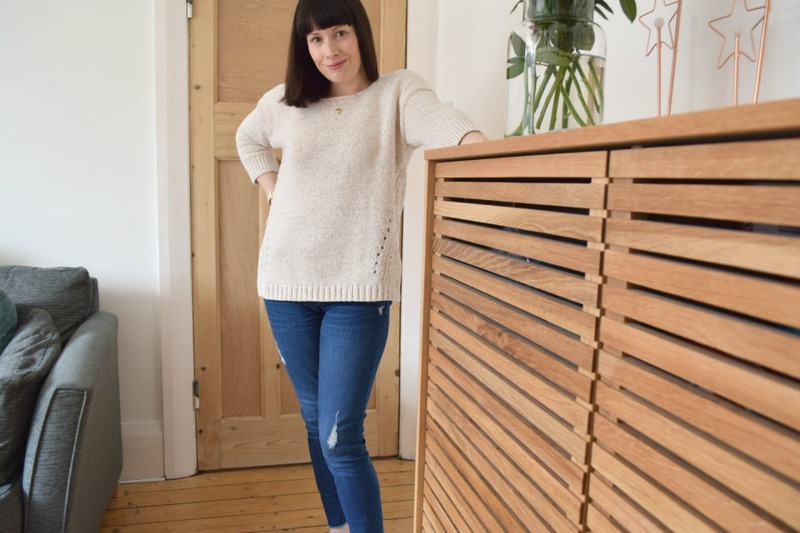 A few weeks ago I was asked into the Liverpool Gap store to check out the new spring/summer range and try out their new Denim Addict service, set up to help customers like me find their perfect pair of jeans. 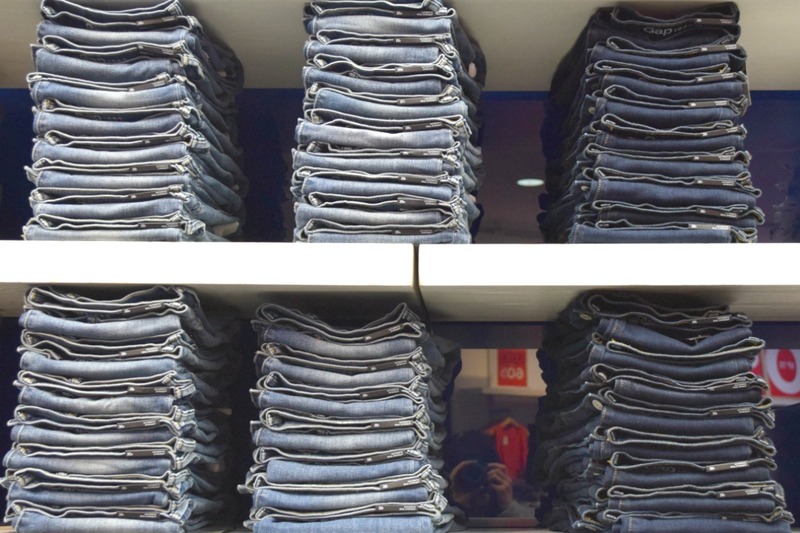 This is no mean feat when you see their massive wall of denim, so many styles to choose from and so many washes. 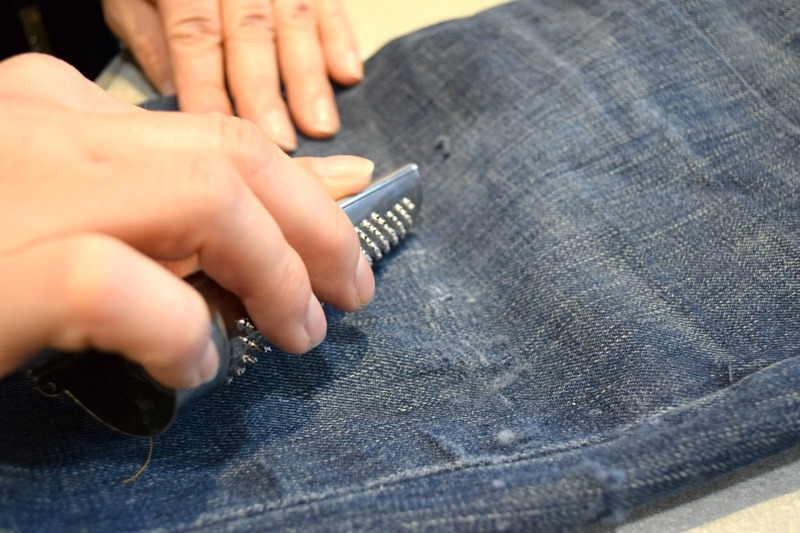 The Denim Addict service offers free customisation in store to your chosen pair of jeans, so if you like them distressed, ripped at the knee or taken up at the hem, you can now have that done while you wait. Genius, hey? Personal shopping and personal styling, all for free! I spent a bit of time browsing the new collection before checking out which jeans I wanted to try on. 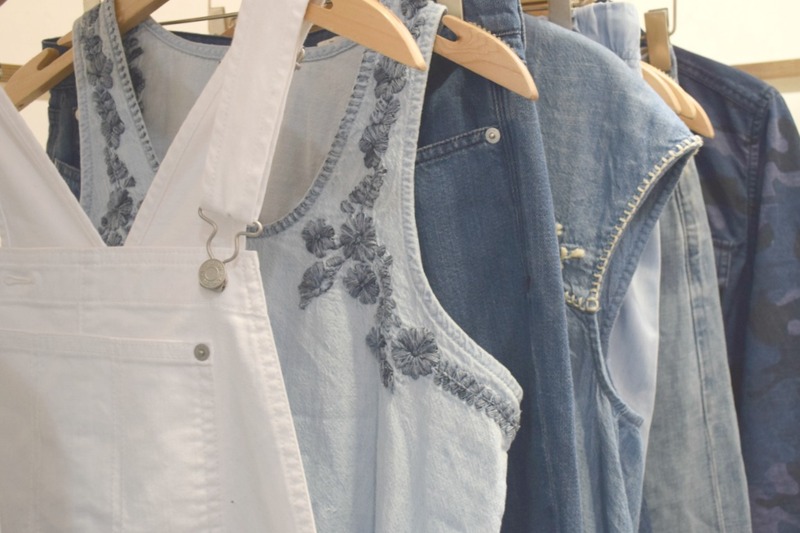 The spring/summer range has lots of lovely lightweight pieces, many with cute embroidery detailing like this sleeveless top shown just behind the dungarees in the top picture, or the darker wash cap sleeve shell top behind. 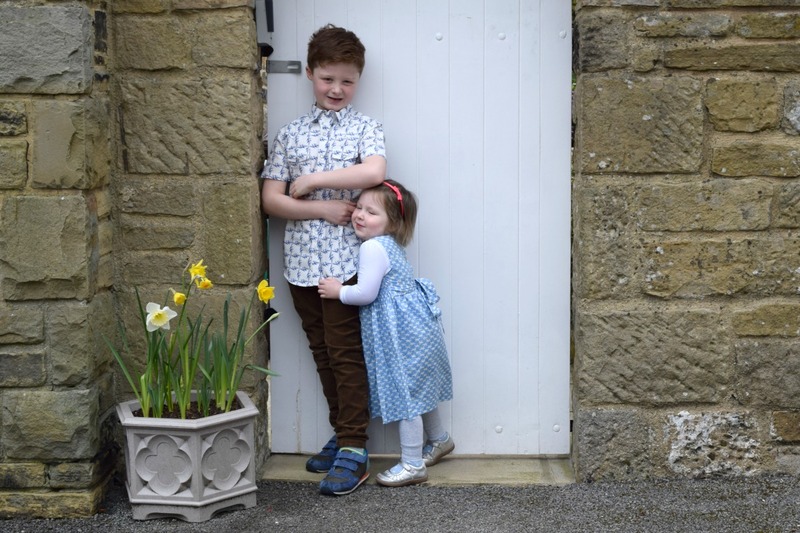 I love the dungaree trend – although I don’t own any myself just yet – and these white short ones are perfect for summer. I also have my eye on a gorgeous pair of light, loose pyjama-style pants with a drawstring waist, the fabric was gorgeous and would look perfect with a white t-shirt and sandals in the heat. 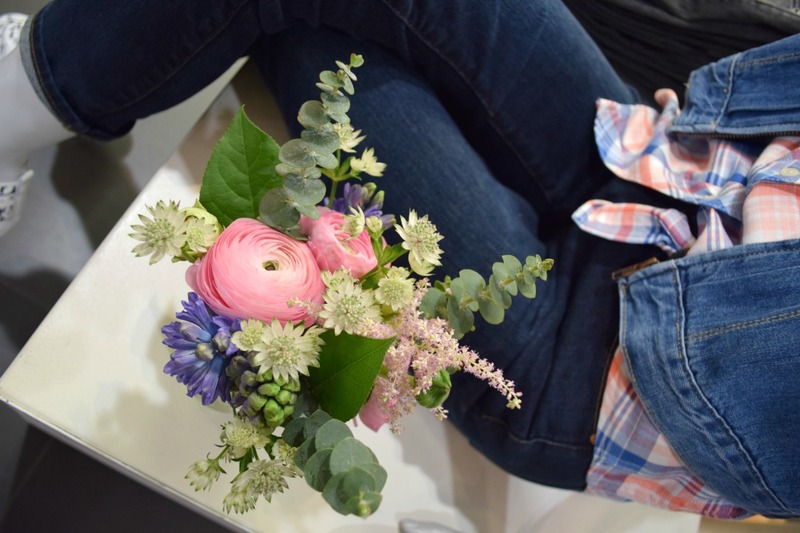 The new collection, which should hit stores from the end of next month, also features a fab pair of jeans with white daisies embroidered around the pockets and some cropped flares – not for everyone, and maybe not for me but I’d definitely try them on for size. 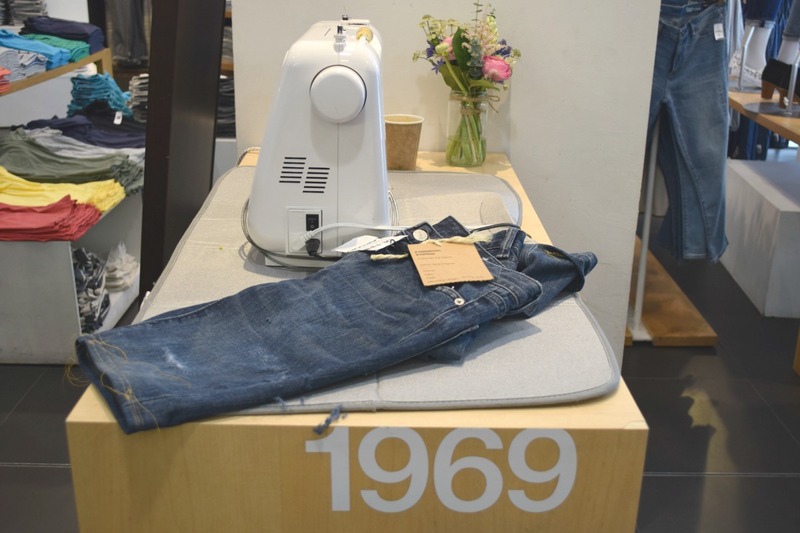 So back to the search for my perfect jeans – after a chat with Michelle, the store manager, she helped me pick out a few different styles to try including the Stretch 1969 True Skinny and the 1969 Real Straights. It was really good being in the changing rooms next to other people trying out the jeans, as when one of us came out the others could see what different styles looked like on, and at one point three of us all came out wearing the same style! These were the ones I ended up keeping, the Stretch 1969 Distressed True Skinny Ankle Jeans (£49.95). 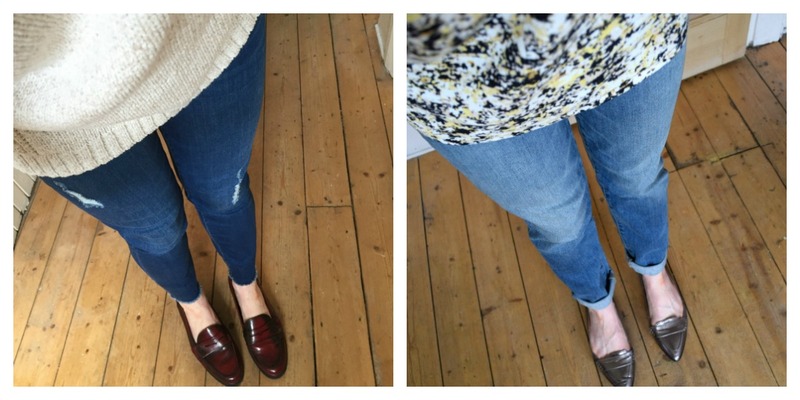 Trying out my new @ukgap ripped ankle skinnies with black boots – this is after I've changed out of my muddy wellies! I absolutely love them on, they have just the right amount of stretch and they are only slightly distressed, meaning I won’t be showing the world my fully bare knees just yet! 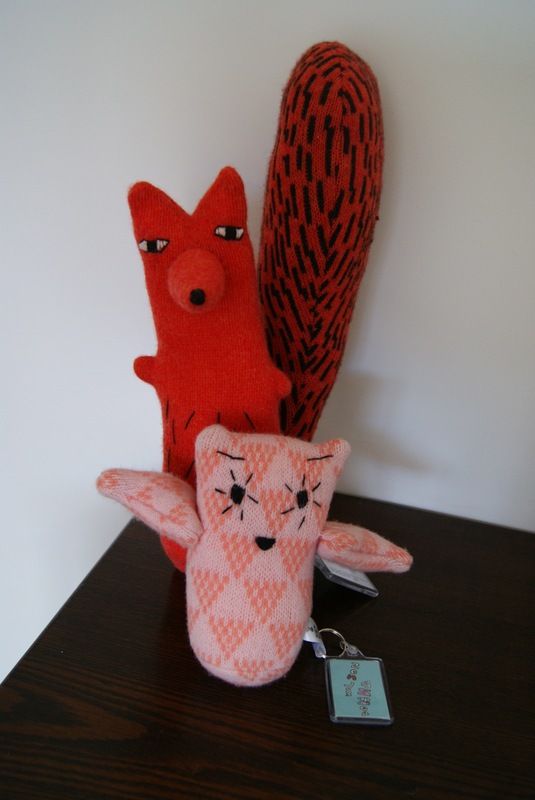 They are also slightly cropped, so they look fab with ankle boots and could also be dressed up with a heel. I didn’t need any alterations making to mine, but I did ask about how the distressing would be done and had a nosy at the tools of the trade, including a mini cheese grater for wearing patches down. Genius! Many thanks to Gap for inviting me along to the Denim Addict event, and for giving me some new perfect fit jeans. what an amazing service i absolutely love that idea. I hate buying new jeas and always need a lot help. What a brilliant service. 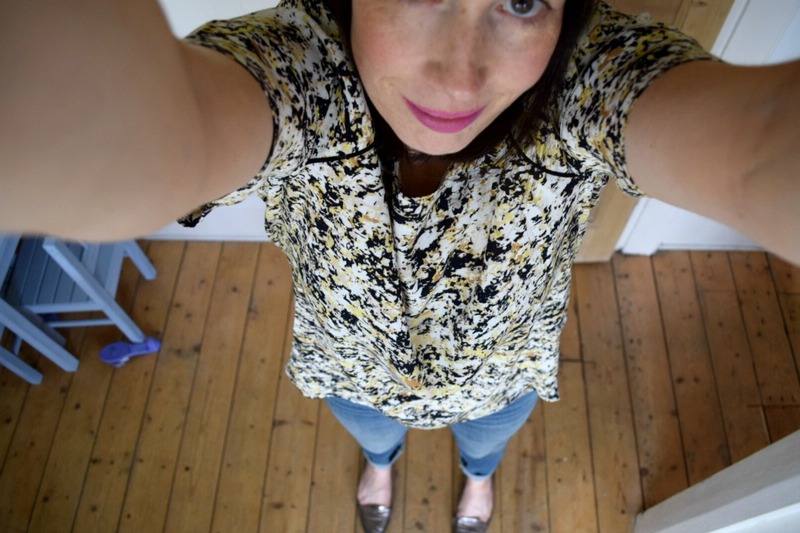 I do love my jeans despite being an *cough* older lady. I’d like a really soft pair that were tight but not too skinny. Your’s really suit you, great choice! There is no age limit on jeans! The ones I have with the rips are good for that, you should try them!